Can you answer a few questions about the association?
? see poster in the photos area in the members sectionQuestion #1: When did the BC Ambulance service first begin service?
? look in the members only areaQuestion #2: when was the first newsletter ” the Siren” published?
? 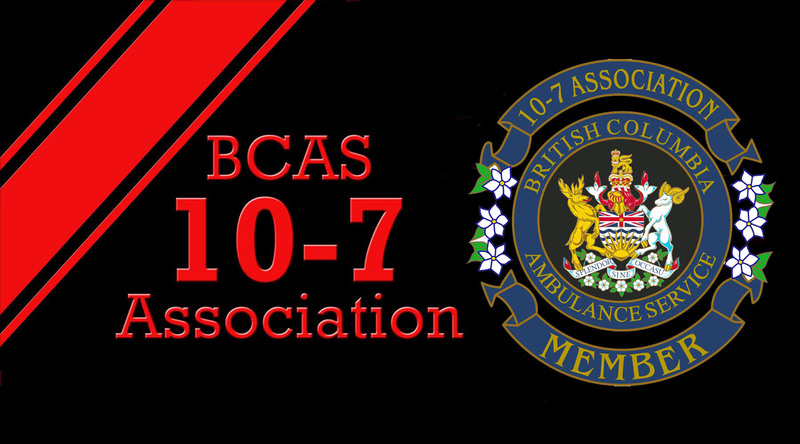 look at the application FormQuestion #3: The BCAS 10-7 Association Society has two bursaries that are awarded yearly. What are they? The Dr.Herb Parkin Bursary and Dennis Cocke Bursary The Carson Smith Bursary and Dennis Cocke Bursary. The Dennis Cocke Bursary and Dr. Peter Ransford Bursary The Peter Ransford Bursary and Carson Smith bursary. Question #4: The bursaries are open to the children, grandchildren or any other direct relative of any member of the Association.
? ConstitutionQuestion #6: First year members and Members over 80 years old get a reduced membership fee, What is the fee?
? Minutes of the 2016 AGMQuestion #7: When is the next AGM?
? Read the constitution Question #9: Who can be honourary members of the Society?